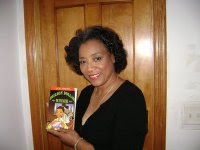 Arlene Jones - Featured Columnist Austin Weekly News: Does Roland Burris' Admission Levelized The Playing Field? Does Roland Burris' Admission Levelized The Playing Field? Roland Burris admission that he was in essence asked to pay-to-play puts him in the same category as those who have already been identified on tape as being willing to do the same. I'm-gonna-support-the-brother-no-matter-what mentality. Unfortunately, that is the exact reason Roland Burris stepped up to the plate with a less than honest response. He has played the black community better than anyone else. If Burris remains in the senate, he will be ineffective and a joke. The problem is that the joke won't be funny.